Bacon....cheddar cheese.....need I say more? If there are two ingredients that are always in my refrigerator, it's bacon and cheese, and if don't see them in there it makes me sad. Really! 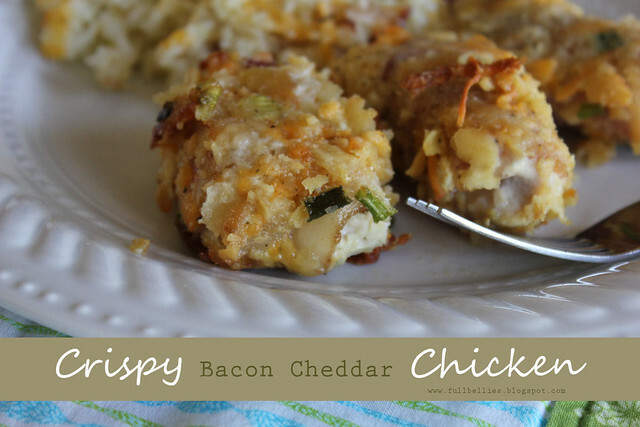 This recipe came about when I decided to combine two chicken favorites around here. 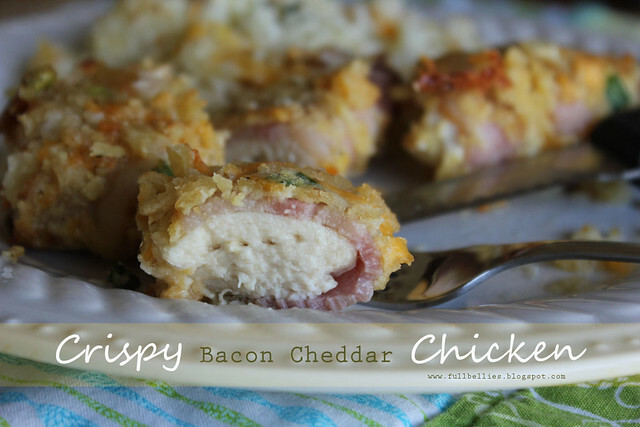 The Crispy Cheddar Chicken and the Bacon Wrapped Chicken tenders we so enjoy. Cut the chicken tenders in half. In a bowl add the eggs, beat with a fork and set aside. In another bowl, add the saltine crackers, salt and pepper, cheddar cheese, garlic powder to taste and the green onion. 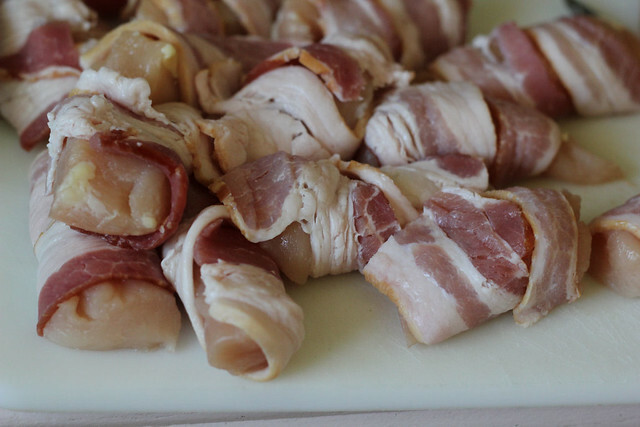 Take a slice of bacon and wrap it around each piece of chicken. Dip the chicken into the beaten egg and then into the cracker mixture, push firmly so the mixture adheres to the chicken. Repeat with remaining chicken. 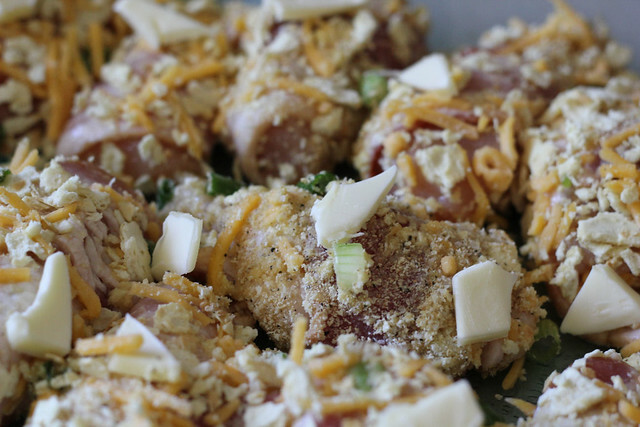 Spray a baking dish with nonstick spray and add the chicken. I added little dots of butter to the top of the chicken and then baked it at 375 until golden brown and the chicken was cooked through. WOW! Ritz Crackers and bacon...perfection. Going on my menu list now. Thanks!